Interactive Digital TV (iDTV) is a technology that has many challenges that surround it and that may discourage the passive viewers to interact with TV. To face the challenging scenario of designing for iDTV, we draw on the Social Aware Computing (SAC) approach to design, looking at the problem and proposing solutions on various abstraction levels (informal, formal and technical) according to the viewpoint of different stakeholders, including prospective end users. 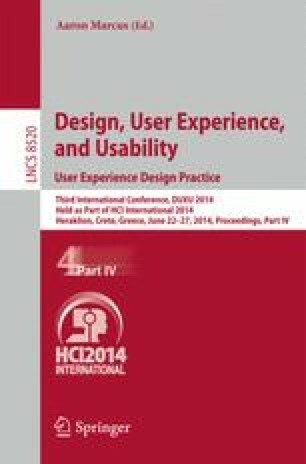 This paper presents a motivational analysis conducted through Analytical and Empirical evaluations and Questionnaires, to understand whether and how an iDTV application designed through the SAC motivates users to interact with it. As results, our analysis pointed out application features that are likely to motivate users to interact, and features that emerged during the design process and were reflected on the application prototype. Moreover, we discuss whether and how the SAC design process may support iDTV applications that make sense to users and motivate them to interact.